to all Major IT Vendors. Our Loan Managers, Engineers, Drivers, Materials handlers and Directors focus on making sure your customer gets the best evaluation possible. A product evaluation service requires storage, engineering, transport infrastructure and top quality customer service. But to be effective it also needs to align completely to the brand's "Go To Market" strategy. We deliver a best in class and completely customisable service. 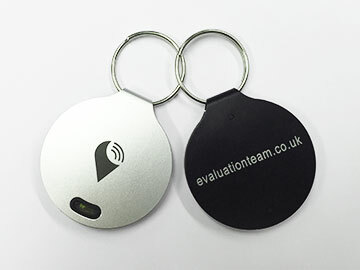 Added Dimension have been focused on providing a market-leading evaluation service for 20 years. whilst delivering results working with the world's leading IT brands. We have constantly invested in improvement and innovation which is why we are simply the best. Whether your target is a commercial business or a public sector organisation, we’re confident we’re the evaluation team for you. With over 20 years experience in the industry and a fully customisable service, we are the market-leading evaluation service and the best team to help the world’s leading IT brands convert leads into sales. From our industry-leading demo pool systems, infrastructure and processes, we know that keeping track of products is essential, so enjoy the TrackR on us. Whatever you attach it to, this feature-rich product will help keep your precious belongings safe, sound and at arms’ length. If you are already running a demo program, then you should be using us to manage it. If you’re not already running a demo program, then you should be and we can handle it for you. With 20 years experience in running market-leading evaluation service, there is no one better equipped than our evaluation team to run your demo program. Whatever your target customer, we will create a fully customised service that works for you. Our services include creating a branded web portal, exclusively for you, industry leading loan management systems, efficient logistics systems and a full quality check of the products. We can simply oversee the evaluation service or mange the entire demo program, depending on what you need. This makes us a fully flexible, yet entirely personal option for the demo of your products, and the leading evaluation service in the industry.